Applications: For the repair of concrete cracks. Use these to 'chase out' the cracks to provide a suitable opening for pouring in the liquid cement or other repair agent and providing clean edges for a good bonding. The 3 sizes suit standard angle grinders with the 180mm size being recommended for 230mm or 9" grinders. 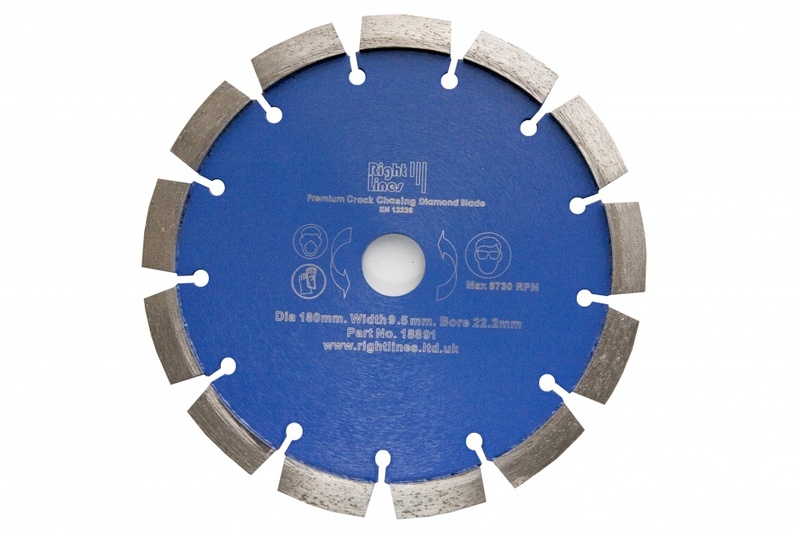 These blades use a premium diamond grades, so they are suitable for all concrete floors including those with hard aggregates. 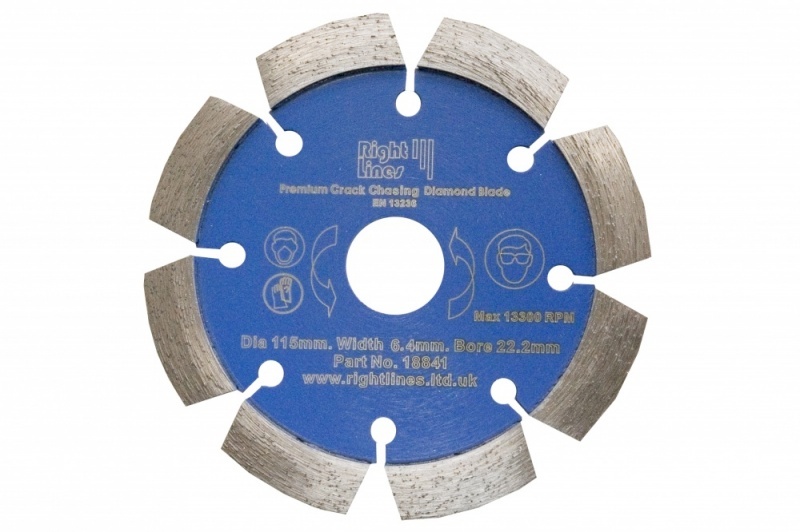 Premium grade diamond to cut hard aggregates. Laser welded for segment strength. Axe-head profile segments to make following the crack easier. 9.5mm width for easy access to pour the repair compound.